OWC17 is gaining support from around the estuary with Triton Knoll and East Riding of Yorkshire Council named platinum sponsors. Klaus Skoust Møller, senior programme director at DONG, said it promised to be a great event. "It will showcase the Humber’s position as a leader in renewable energy. We are proud to be part of the significant growth in the area. Mark O'Reilly, Team Humber CEO and chairman, said OWC17 would highlight the Humber's preeminent position in the green energy revolution in the UK and Europe while also looking at global prospects for the region's manufacturers and providers of specialist skills. 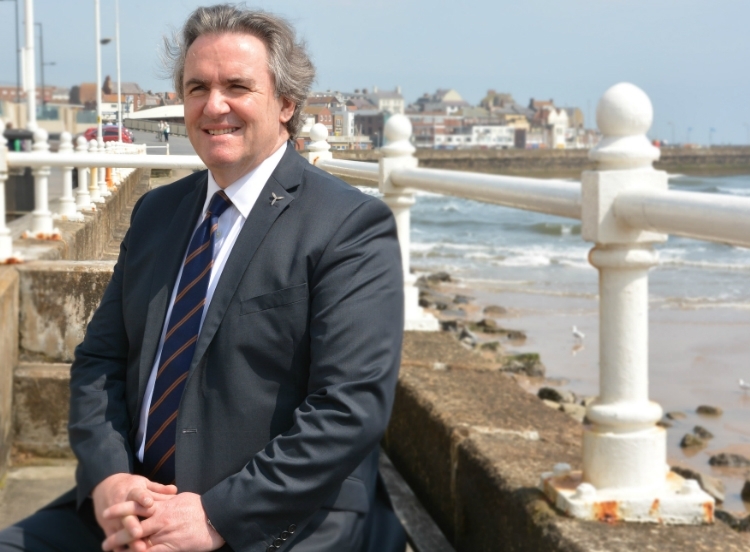 "The conference will be devoted to delivering business intelligence and we look forward to welcoming wind farm developers, owners, industry trade bodies and companies along the length of the offshore wind supply chain," he said. Delegates from New Bedford, Massachusetts, and Offshoreenergy.dk, which have memoranda of understanding with Team Humber for future collaboration, will be present. Offshoreenergy.dk points to 7500MW of offshore farms being built on the eastern side of the UK in the next five years. Speakers at the full-day conference of May 4 will include Hugh McNeal, chief executive of Renewable UK, James Cotter, project director of Triton Knoll Offshore Farm, Ray Thompson, head of business development at Siemens Wind Power, and Alex Gauntt, business development manager at Siem Offshore Contractors. On the evening of the 3rd there will be a Renewable UK networking event, also at the Spa. Team Humber has announced East Riding of Yorkshire Council and Triton Knoll as platinum sponsors of OWC 2017, the University of Hull’s Project Aura, DeepOcean and Mapa PR as gold sponsors and CWind, Mullion, Myton Law and JBA Consulting as silver sponsors. Greenport Hull are supporters of the event and Renewable UK, NOF Energy and Grimsby Renewables Partnership are partners. —To book tickets, go to www.offshorewindconnections.co.uk, £50 plus VAT for Team Humber Marine Alliance members, £75 plus VAT for non-members. Exhibition stands, SOLD OUT.